Like many of the former and current Egyptian leaders of jihadi organizations, Aboud al-Zomor is a well-educated professional and, in this case, the product of a wealthy family in Egypt’s Giza governorate. Al-Zomor’s career has followed a trajectory that has taken him from senior army officer to radical jihadist to reformed militant. Despite the apparent sincerity of his renunciation of political violence following a three-decade stretch in prison, there are those in Egypt who fear who has secretly retained his earlier dedication to political violence, including the Egyptian military, which is currently seeking al-Zomor to face charges of inciting Islamist violence following the overthrow of President Muhammad Mursi, a leading member of Egypt’s Muslim Brotherhood. Al-Zomor was a colonel in Egypt’s military intelligence, a useful background for clandestine work in Egypt’s militant Islamist underground. The young intelligence officer was already a member of the radical Islamic Jihad and later the Gama’a al-Islamiya militant group and was in touch with the disaffected Islamist Egyptian Army officers and militants involved in the plot against Anwar al-Sadat following the latter’s signing of the Camp David Accords establishing a long-term peace with Israel. After the Muslim Brotherhood abandoned attempts at a violent overthrow of the Egyptian government following the failure of Sayyid Qutb to seize power in 1954, al-Gama’a al-Islamiya (GI) filled the militant void, offering an aggressive alternative to the Brotherhood’s new emphasis on social activism. Since circumstances have changed, we can now try to judge whether the decision was right or wrong. But at that time, without knowing the results, it seemed that what happened was the right thing. But I have to admit I did not support the assassination of Sadat. I thought that we should wait until everything was ready in 1984, according to our plan. We were planning for a change of regime and were able to attract numerous supporters at the time. But after Sadat signed the Camp David peace accords with Israel, and after the arrest campaign in September 1981 which saw politicians from across the political spectrum rounded up, eliminating the man [Sadat] seemed the only way out to many members of the group (Ahram Online, October 6). Al-Zomor believes the mistake lay not in killing Sadat, but in killing only Sadat only rather than taking out the entire Egyptian leadership as planned in 1984. Though he went along with the majority sentiment, al-Zomor’s fears were played out in the repercussions that followed Sadat’s murder. Worst of all was the succession as president of Hosni Mubarak, another military man whose efforts to eliminate the Islamist movement made Sadat’s efforts pale in comparison, a development that drew a late apology by al-Zomor on behalf of the GI: “I’m only sorry that getting rid of Sadat brought an even worse ruler to power, and that the people had to suffer under his tyrannical rule for an additional 30 years” (Ahram Online [Cairo], October 6, 2011; Shorouk News [Cairo], October 8, 2011). Three decades of confinement in some of Egypt’s hardest prisons gave al-Zomor the opportunity to study law and to reflect on the causes of his incarceration and the validity of the political approach that brought him there. During his time in prison, al-Zomor says the Mubarak regime made three offers of release with conditions beginning in the 1980s. The first offer was conditional on acceptance of the National Democratic Party (dissolved since the revolution); the second was made on the condition that Aboud al-Zomor and his cousin Tariq refrain from talking about politics; the last offer, made only weeks before the revolution, was conditional on the two cousins accepting a dynastic succession in which the presidency would be passed from Hosni Mubarak to his son Gamal. All three offers were refused, with Aboud telling his jailers in the last case that accepting the allegedly corrupt Gamal Mubarak as ruler would make them “traitors to God, his prophet and the Muslim people.” Al-Zomor insists that his eventual release was made “without any negotiations or conditions” (al-Sharq al-Awsat, January 28, 2012). The revolution that consumed Egypt in January 2011 was of enormous benefit to the GI despite the fact its membership played virtually no role in these momentous events. Aboud and Tariq were both freed in March 2011 by order of the Supreme Council of the Armed Forces (SCAF) that took power after Hosni Mubarak was deposed as president. The two were part of a larger release of some 60 Islamist prisoners who had already served at least 15 years of their term. Technically, both Aboud and Tariq had already finished their sentences and were eligible for release, but continued to be detained by the former regime’s practice of allowing the Interior Ministry to continue to hold prisoners for an additional five years on security grounds. Many more GI members were later freed with pardons by President Muhammad Mursi after years in high security institutions like Tora Prison in what the movement described as “a miracle” (al-Masry al-Youm [Cairo], July 30). Shortly after his release, al-Zomor was viewed by some Islamists as a possible presidential candidate, but declared he would not run: “There are many others better than me” (Egypt Independent, March 13). Though many Islamists were vocal in their opposition to military rule by SCAF, al-Zomor suggested that the military council was taking “corrective steps” and at least were not acting “in bad faith, unlike Mubarak” (Shorouk News [Cairo], October 8, 2011). Al-Zomor eventually supported the brief candidacy of Muslim Brotherhood deputy leader Khayrat al-Shater for president in early 2012 before al-Shater’s disqualification, describing him as “a patriotic capitalist” (al-Masry al-Youm [Cairo], February 5, 2012; for al-Shater, see Militant Leadership Monitor, July 2013). There’s a difference between the peace treaty and the Camp David accords. The treaty stipulates that we will not go to war with Israel, and this is something that must be respected and approved, whether or not we – or any other political party – come to power. This has to do with respecting the international community, which is considered a part of the treaty. Camp David, on the other hand, includes measures aimed at normalizing Egyptian relations with Israel through economic and other fields of cooperation. This should be reviewed. Al-Zomor opposes the export of Egyptian natural gas to Israel, a main point of contention for Sinai-based militants who have repeatedly blown the lines carrying gas to Israel. In light of this, it’s not possible for a new dictator to come to power, and, if he does, the people can get rid of him using peaceful means. When you have all this, you don’t need to use violence – even if this violence is simply a reaction to regime oppression. Violence now cannot be justified. This door is closed (Ahram Online, October 6, 2011). In the 1980s, when we refused to participate in parliamentary elections, it wasn’t a religious stand against democracy. We just thought that, under the former regime, the whole thing was a waste of time and effort. But now, like I said, it’s a totally different situation… [We seek] a modern democratic [rule] that respects the rights of minorities and freedom of trade. We want an Islamic state that would be respected – not feared – by the whole world” (Ahram Online, October 6, 2011). Though Gama’a al-Islamiya has officially left the field of armed jihad, al-Zomor has indicated that he would have “no problem” with Egyptian al-Qaeda leader Dr. Ayman al-Zawahiri “returning to his country in safety and with honor. We would welcome his return with our heads held high, after the end of the battle with the Mubarak regime; there is one problem which is that the U.S. will not accept this [al-Zawahiri’s return] and will exert pressure on Egypt not to accept his return.” (al-Sharq al-Aswat, January 28, 2012). 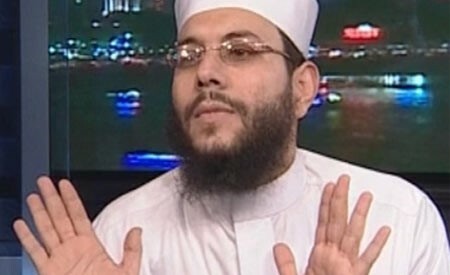 When a Salafist television preacher named Mahmud Sha’aban issued a fatwa (religious ruling) that said secular political leaders of the National Salvation Front (including Muhammad al-Baradei, Hamdeen Sabahi and Amr Moussa) “must be killed according to the law of God” for their political opposition to the Muslim Brothers, al-Zomor reacted quickly despite believing the NSF was “a destructive force” in Egypt, saying “It is not acceptable to deal with political opponents with arms… Whoever resorts to assassination is using a weak pretense” (As-Safir [Beirut], February 8). Al-Zomor added that the 2011 revolution had made it possible for all factions to engage in peaceful political activity, noting that the cost of more forceful means of political expression had to be borne by the Egyptian people (Aswat Masriya [Cairo], February 7). Aboud attended a protest by hundreds of GI members outside the U.S. Embassy in Cairo on April 21, 2011 to demand the release of former GI spiritual leader Shaykh Omar Abd al-Rahman from an American prison (Middle East News Agency [Cairo], April 21, 2011). The so-called “Blind Shaykh” was handed a life sentence in 1995 for his role in the 1993 World Trade Center bombing. 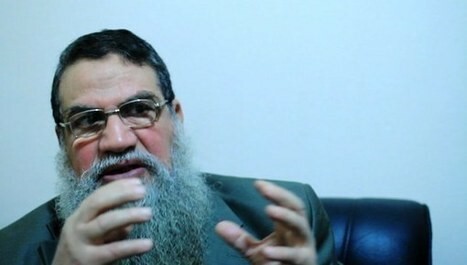 During a press conference held by the shaykh’s family in late July at which the shaykh’s son, Abdallah Abd al-Rahman, threatened to organize an occupation of the U.S. embassy in Cairo, al-Zomor described the shaykh as “a wronged man whose case has been fabricated, and he should be retried because some witnesses retracted their statements, which they made because of pressure from the former [Mubarak] regime” (al-Masry al-Youm [Cairo], July 27). Al-Zomor once described the release of Shaykh Omar as the second priority for GI parliamentarians after obtaining the release of political prisoners imprisoned during the Mubarak era (Shorouk [Cairo], October 8, 2011). Shaykh Omar’s case was eventually taken up by President Mursi, who was in negotiations with the United States regarding the shaykh’s transfer to an Egyptian prison before his overthrow. Egypt’s Coptic Christian community has suffered a great deal from the turmoil of recent years, with many of its churches being attacked by mobs led by Salafist preachers and organizers seeking to drive “infidels” from Egypt, regardless of their historical legitimacy as the pre-Muslim indigenous population of Egypt. Al-Zomor has taken a public stand on the issue that differs greatly from some of his Salafist contemporaries: “I have been firm in this position even in the times that I have been in prison, without anyone asking me. I made a statement saying it is against Islamic law to attack houses of prayer, and it is also against the keeping of peace and harmony in society” (Ahram Online, August 24). Elsewhere, al-Zomor claims he has no problems with Copts in government up and including the ministerial level, but suggests that discussion of whether Copts could have higher positions than that are largely moot as Coptic politicians would never have that kind of success “in a Muslim country” (Shorouk [Cairo], October 8, 2011). On the eve of the popular demonstrations that led to the Army’s expulsion of President Mursi and his Muslim Brother colleagues from government, GI spokesmen were insisting that Egyptians must abandon their protests and wait for a peaceful, constitutional and democratic handover of power in the scheduled three years’ time (Daily News Egypt, June 28). The overthrow of President Mursi and the persecution of the Muslim Brotherhood was at least as momentous a change for the GI movement as the January 25 Egyptian Revolution. Despite political and ideological differences between the GI and the Brotherhood, Mursi has basically acted as a patron to the GI, which often figured prominently when presidential appointments were announced. An association which had benefited the movement suddenly threatened it, and the GI was quick to disassociate itself from the Muslim Brotherhood. The GI’s position on the coup that overthrew President Mursi has been misunderstood, according to al-Zomor, who claims that the movement’s presence at the pro-Mursi demonstrations in Raba’a al-Adawiya and al-Nahda Square was solely intended to support democratic legitimacy (al-Nahar TV [Cairo], September 4). Al-Zomor insists that Mursi’s return was never an objective of the GI, only the Muslim Brotherhood. Until recently, al-Zomor made significant public efforts to stay on the right side of Egypt’s new and powerful military ruler, General Abd al-Fatah al-Sisi, who he praised for his patriotism and his “correct decision” to depose ex-president Mursi, who al-Zomor described as “not the right man for the stage” and a man who had failed to listen to the opposition or take into account the majority that opposed his rule (al-Nahar TV [Cairo], September 4). Nonetheless, al-Zomor said earlier that he opposes the “Turkish model” that gives the army a “perpetual role in governance” as protectors of the constitution (Ahram Online, October 6, 2011). The GI and its political wing, Hizb al-Bena’a wa’l-Tanmiya (HBT – Building and Development Party) continued to try to separate themselves from the ongoing violence by announcing their “great concern” over attacks on Egyptian military personnel in the Nile Delta and the Sinai, saying such assaults were merely an effort to provoke confrontations between the military and Egypt’s Islamists (Ahram Online [Cairo], September 18). Other GI leaders, including Tariq al-Zomor and Assam Abd al-Majid, are being sought by security forces after they did not turn up during security operations in the Giza villages of Kerdasa and Nahia, though the operations did yield roughly 170 Islamist detainees (Daily News Egypt, September 22). The entry of security forces into the densely populated villages was at times stiffly opposed by Islamist gunmen. Ala’a Abu al-Nasr, the former secretary general of the HBT, has criticized the army’s “criminal” operations in Kerdasa, saying they would only “add to the intensity of the situation.” HBT spokesman Muhammad Hassan, added that fugitive party leaders Tariq al-Zomor and Assam Abd al-Majid had taken no part in the recent attack on the local police department that ended with 11 officers being killed and mutilated, an action that built immediate support for further security operations against the Islamists (al-Masry al-Youm [Cairo], September 19). For all his advocacy of non-violent political action, Aboud al-Zomor is (at the time of writing) a fugitive sought on charges of inciting violence by Egypt’s military-led interim government. Gama’a al-Islamiya’s support for the military and general opposition to the political program of former president Mursi has likewise meant little when the advocacy of political legitimacy is instantly equated as being aligned with the “terrorist” Muslim Brotherhood. In this highly polarized atmosphere it is entirely possible that al-Zomor and his cousin may soon be returned to the prisons that were their home for three decades unless they succeed in escaping the country. This article first appeared in the September 30, 2013 issue of the Militant Leadership Monitor. Expelled from their main sources of financing, consumed by internal disputes and under constant pressure from African Union troops in the field, Somalia’s al-Shabaab movement and its leader Abdi Godane “Abu Zubayr” have rolled the dice with a massive attack on civilians in Nairobi with the future of the Shabaab movement as the stakes. Having already lost vital revenues provided by the movement’s control of the markets of Mogadishu and the port of Kismayo, Kenya’s support for a new, autonomous administration in southern Somalia threatens to deprive Shabaab of operational mobility in one of its last strongholds. 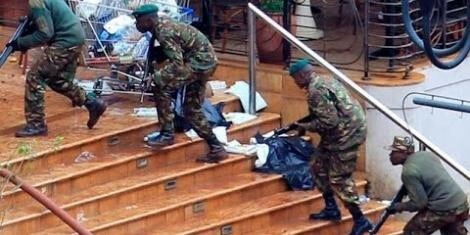 Unable to confront Kenyan troops in the field, al-Shabaab’s strategic response was the formulation of a devastating strike at a soft target in the heart of Kenya – Nairobi’s upscale Westgate Mall, a gathering place for foreign expatriates and well-to-do Kenyans alike. The result was over 60 civilians killed and 200 wounded. At least three Kenyan servicemen have died, with another eight wounded (Nairobi Standard, September 24). Independent press coverage of the situation was hampered by government requests for live transmissions from the site to cease and for people outside the mall to stop efforts to communicate to people still believed to be within the building (Nairobi Star, September 21). The assault on the mall consisted of a two-pronged attack by heavily armed gunmen carrying AK-47assault rifles and ammunition belts. Many of the attackers appeared to be ethnic-Somali, thought it is unknown yet whether the attackers were Kenyan nationals from largely ethnic-Somali northeast Kenya or Somali nationals. Chief of the Kenyan Defense Forces General Julius Karangi maintains that the gunmen were of different nationalities, including ethnic-Somalis with dual nationality (AFP, September 24). There is a cross-border traffic in ethnic-Somali militants in the poorly regulated border Kenyan-Somali frontier – five Kenyan nationals who had traveled to Kismayo without documents to join al-Shabaab were arrested shortly after the Westgate Mall attack (Xinhua, September 22). There continue to be rumors of American and other foreign nationals taking part in the attack, but nothing has been confirmed as of yet. Only two hours before the Westgate Mall attack began, at least two people were killed and four others injured (including two Yemeni nationals) when attackers believed to be al-Shabaab operatives threw a hand-grenade in the foreign exchange part of Mogadishu’s Bakara market, once an important revenue source for al-Shabaab before it was expelled in 2011 by a joint AMISOM-Somali Army operation (Shabelle Media Network [Mogadishu], September 21; Garowe Online, September 21). This latest attack in Mogadishu followed closely a coordinated car-bombing/suicide bombing attack on a Mogadishu restaurant that killed at least 15 people on September 7 (al-Jazeera, September 7). Even Somali president Hasan Shaykh Mohamud narrowly avoided being killed on September 3 when his motorcade was ambushed by al-Shabaab gunmen (Shabelle Media Network [Mogadishu], September 3). Such attacks are part of al-Shabaab’s decision to revert to a guerrilla/terrorist campaign in its currently weakened state, which largely precludes more conventional military operations of any size. The damaging attacks at home and in Kenya come at a time when Somalia has finally gathered sufficient international support to move forward with efforts to achieve a national restoration. In return for funding pledges of over $2 billion, the Somali federal government has agreed to improve security, implement a new constitution and hold general elections in 2016 (al-Jazeera, September 17). Meanwhile, Godane loyalists within al-Shabaab have lately been engaged in a purge of his opponents within al-Shabaab, including American jihadi Omar Hammami al-Amriki and a lack of funds or battlefield success has made recruitment difficult. Understanding the assault on the Westgate Mall requires an understanding of events in the southern Somali port town of Kismayo, center of a lucrative trade in charcoal that ensures the wealth of whoever controls this strategic town. Al-Shabaab took control of Kismayo from a local militia in August, 2008 and made the port city an important base through smuggling activities and control of the substantial charcoal trade to the Middle East. However, a severe drought and al-Shabaab’s decision to terminate all international aid to the region brought starvation and the exodus of much of the region’s population to massive refugee camps in northern Kenya, camps that Nairobi views as a security threat and would like to see closed by restoring sufficient security to southern Somalia to enable the return of the refugees. After a number of kidnappings and other disturbances along the Kenyan-Somali border, the Kenya Defense Forces (KDF) crossed into southern Somalia to eliminate the Shabaab presence there on October 16, 2011. Al-Shabaab’s occupation of Kismayo and the surrounding region was eventually terminated in September 2012 by a combined ground, air and sea operation involving Somali troops, the Kenya Defense Force and the local Ras Kamboni militia (once an al-Shabaab ally). Unfortunately, Operation Linda Nchi did not restore stability, as the Ras Kamboni militia soon became embroiled in deadly clashes with local rivals (especially those of former warlord federal Defense Minister Colonel Barre Adnan Shire Hiraale) for control of the city. KDF forces in Somalia were later absorbed into the African Union Mission in Somalia (AMISOM) on February 22, 2013. AMISOM has waged an often brutal war against al-Shabaab using mostly Ugandan and Burundian troops since 2007. The eventual victor in the struggle for control of Kismayo was Ras Kamboni militia leader Ahmed Muhammad Islam Madobe, who appears to have agreed to rule Kismayo and its hinterland as a “semi-autonomous” unofficial buffer state separating Kenya from the rest of Somalia. Nevertheless, KDF commander General Karangi has repeatedly denied any involvement on the part of Kenyan forces in the region in the election of Ahmed Madobe as the new leader of Jubaland by 500 local leader s on May 15, while Brigadier Ngere maintains that Kenya has “a very long border with Somalia, which we have to protect. But we are not creating any buffer state” (BBC, September 22). An August 28 agreement backed by the UN, Kenya, Ethiopia and the Inter-Governmental Authority on Development (IGAD – a regional grouping) was intended to resolve the differences between the autonomy-seeking Jubaland administration and the federal government in Mogadishu. In reality, the agreement failed to resolve many of the contradictions in the Kismayo/Mogadishu relationship, but did grant Jubaland a semi-autonomous status analogous to that enjoyed by Puntland, a territory in northern Somalia (Puntland severed ties with Mogadishu in August over a political dispute). The newly recognized Jubaland has an area of roughly 33,000 square miles and a population of roughly one million people. The agreement calls for the transfer of Madobe’s Ras Kamboni Brigade to the federal Somali army, but there is a possibility Brigade members might transfer to the local police, which will remain under Madobe’s control in Jubabland (Garowe Online, September 1). In effect, the agreement gives Nairobi the buffer zone it is believed to have been seeking in southern Somalia, together with a pliant local militia beholden to the Kenyan military for its rule of the region. A long-term Kenyan presence in the region essentially means that al-Shabaab will not have the opportunity it desires to force its way back into Kismayo’s charcoal export trade (a business involving a number of prominent Kenyan businessmen). With revenue sources steadily drying up across Somalia, Godane has decided the time is right for drastic measures to drive out the Kenyan presence. Ethiopian Foreign Ministry officials, who played a large role in crafting the agreement, said it was based on three main principles; respecting the legitimate constitution of Somalia, respecting the unity and sovereignty of Somalia and furthering the fight against al-Shabaab (Garowe Online, September 7). Madobe’s rule in the hotly-disputed region promises to be eventful – shortly after landing in Kismayo on September 12 following an official visit to Mogadishu, a convoy of vehicles carrying the new Jubaland leader was hit by an al-Shabaab suicide bomber who drove his vehicle straight into the convoy. Ten of Madobe’s guards were killed, though Madobe, who was traveling in a bullet-proof car, was unhurt by the blast (Somaliland Sun, September 12). Kenya’s official response to the Westgate attack so far has been to pledge operations to find and destroy those responsible for the Westgate attack. What will matter in the coming days is whether an aggressive response will have the support of other Kenyan politicians and the Kenyan public, some of whom might feel the price of military intervention in Somalia is too high, both in security terms and in the resultant reluctance of international investors to view Kenya as a desirable place to do business. Kenya is also planning to build a new rail and pipeline corridor carrying oil from South Sudanese and Ugandan sources to the port of Lamu, less than 95 miles from the Somali border, a development that will require new security initiatives in this poorly secured region. Al-Shabaab’s reclusive Amir, Abdi Godane, has now made himself and the rest of the Shabaab leadership the targets of an international man-hunt that may well result in the ultimate death of the Amir and other movement leaders. Military pressure on the movement could foster further internal disputes over Godane’s controversial choice to take the movement in the direction of a globally-focused jihad closer to al-Qaeda Central’s concerns than those of more locally-focused Somali jihadists. The federal government in Mogadishu that once welcomed Kenyan intervention in southern Somalia now finds itself in the unlikely position of sharing al-Shabaab’s desire to end the Kenyan presence and influence in the region, though the two parties differ greatly on what they see replacing the Kenyans and the new Jubaland administration. Encouraging the development of new, autonomy-seeking administrations in a nation struggling to recover some sense of national unity that would enable it to tackle its serious economic and security challenges would seem to be a step backward in the international effort to restore stability to Somalia. Al-Shabaab’s attack on the Westgate Mall is a searing reminder that the creation of a buffer-state alone will not protect Kenya from the Islamist extremists who are determined to risk all in their struggle to expel foreign forces from Somalia on their way to creating a unified Islamic state. However, unless Kenya has enough confidence in the Somali national government’s ability to provide security in the border regions, it is likely to maintain political influence and a military presence in newly-created Jubaland regardless of the cost. 1. See http://ansar1.info/showthread.php?t=47003. Al-Shabaab’s Twitter account is currently https://twitter.com/HSM_Press. 2. For Israeli-Kenyan security cooperation, see Andrew McGregor, “Israel to Assist Kenya in Battle against al-Shabaab,” Terrorism Monitor, November 24, 2011. 3. See Muhyadin Ahmed Roble: “Al-Shabaab Razes Forests to Finance Jihad,” Terrorism Monitor, November 18, 2010. With Yemen in the midst of a political reconstruction, there are signs that the Zaidi Shiite insurgent group known as the Houthis is taking advantage of the ongoing turmoil to considate their de facto rule of the northern province of Sa’ada while making inroads in other parts of the country. Yemen’s military is largely preoccupied with its struggle against al-Qaeda and its allies in southern Yemen, but the Houthist expansion has not gone unopposed, with Salafist tribesmen tied to the Islamist Islah Party resisting all attempts by the Houthists to spread the areas under their control. Yemen’s security forces have little influence in the northern regions and at times have even been outgunned by both factions in the conflict. With little political will in the National Reconciliation Government for yet another war against the Houthis (there have been six since 2004), the security forces have been largely relegated to the sidelines in the ongoing Houthi-Salafist conflict. Security officials suggest at least 60 people have been killed in several weeks of tribal clashes that began with a land dispute but intensified when the Houthist and Islah movements became involved to support opposing sides in the quarrel (Daily Star [Beirut], September 13). From their stronghold in the mountains of Sa’ada Governorate, the Houthis have expanded their area of influence to large parts of the neighboring governorates of Amran, al-Jawf, Hajjah and al-Mahwit as well as establishing a strong presence Ibb Governorate (particularly the Radhma region), in the capital, Sana’a, and in the surrounding Sana’a Governorate. The worst clashes have occurred in the Amran governorate of Yemen, lying just north of Sana’a. Houthist forces have established positions in the mountains in regions that are also claimed by tribesmen loyal to the Salafist Islah Party who accuse the Houthists of trying to seize land in the area. Security forces failed in an attempt to intervene between the two heavily-armed factions in Amran (Yemen Times, August 22; September 10). Control of Amran would give the Houthis enormous leverage in the Yemeni capital of Sana’a, which would be exposed to rapid infiltration or invasion by Houthist forces based just north of the capital in Amran. Non-Shiites living in Amran also complain that Houthist militias have tried to take control of zakat donations, alms payments that form one of the five pillars of Islam. Attempts to commandeer zakat funds earmarked for building a school led to violent clashes in the Harf Sifyan area of Amran governorate that left eight people dead (Yemen Times, August 25). According to al-Asha district security manager Muhammad al-Raei, local security forces have not intervened in the conflict because both sides possess heavier weapons than the security forces (Yemen Times, September 10). Yemeni President Abdu Rabu Mansur Hadi formed a mediation committee in mid-August, but the new body has been able to accomplish little short of organizing ceasefires to allow both sides to recover their dead and wounded (Yemen Times, August 27). In the city of Sa’ada, capital of the Houthi stronghold of Sa’ada Governorate, it is reported that all real authority is now in the hands of the Houthist movement alone. According to the military commander in Sa’ada, Brigadier General Hassan Libuza, security duties are now divided between the army and the Houthists, with the latter providing security for Houthi events and the army providing security for government events, which are increasingly meaningless as the Houthists continue to consolidate their control. General Libuza maintains the army is “trying to coexist with the status quo in Sa’ada governorate” (al-Sharq al-Awsat, August 9). The Houthists have complained that international jihadis are pouring into the town of Damaj (Sada’ah Governorate), where they are alleged to be building fortifications (Press TV [Tehran], July 16). Damaj was the scene of a violent six-week siege by Houthists in 2011 who had failed to disarm the town’s substantial Salafist population. Though it was long known as a center for the study of moderate Islam, Damaj is now the site of bitter sectarian fighting as the Houthists attempt to establish control over the Salafist-dominated town. By late August, President Hadi had established a special commission designed to promote a ceasefire and reconciliation in Damaj, though the new body has had little influence so far (SABA [Sana’a], August 21; Yemen Times, August 22). Security officials in the al-Asha district of Amran governorate accuse the Houthis of planting landmines in mountainous areas under their control to prevent other groups from seizing them, though one mine detonated accidentally left ten Houthis dead. This new proliferation of landmines comes just as Yemen was making progress in their eradication (Yemen Times, September 5). Both sides in the scattered conflict accuse the other of bringing in non-resident fighters to tip the scales in Amran and Ibb governorates (Arab News, September 9). In Ibb Governorate, there are continuing clashes between the pro-Houthist al-Siraj tribe and the Salafist al-Da’an tribe that began in July when the Sirajis began to set up roadblocks controlling access to al-Radhma district. Added to the violent clashes in the region is a wave of kidnappings carried out by both factions. A government-sponsored attempt to reach a ceasefire by promising 20 rifles to the side that had suffered the most casualties collapsed when the Da’an tribe backed out after learning the rifles would go to al-Siraj, fearing the weapons would be turned on them after delivery (Yemen Times, September 5; September 10). Yemen’s coalition government issued a public apology on behalf of the former regime to all residents of Sada’a for the series of military campaigns conducted against Houthist followers in that governorate (Yemen Post, August 22). A Houthi representative at the National Dialogue Conference (a government-sponsored national reconciliation effort), Amal al-Maliki, said the apology was accepted (unlike a similar apology proffered to the separatist Southern Movement) “to enable the government to implement more steps such as compensation and national reconciliation… [However], everything is still ink on paper and nothing tangible has been achieved so far. Reconstruction hasn’t started and those affected haven’t received any compensation so far” (Yemen Times, September 3; Yemen Post, August 24).Among the NDC initiatives approved by Yemen’s cabinet are recommendations for the creation of fund to compensate victims of the internal conflicts in Yemen’s northern and southern regions and the release of all separatists and Houthi rebels arrested after the 2011 anti-regime demonstrations (Gulf News, August 29). Non-Houthists delegates to the NDC have complained of “crimes” committed by the movement against other residents of Sa’ada, including murder, torture, illegal arrests and the displacement of over 130,000 people (al-Sahwah.net, July 11). The most prominent Houthist delegate to the NDC is Yahya Badr al-Din al-Houthi, the brother of movement leader Abd al-Malik al-Houthi. Yahya was the target of unidentified gunmen in Sana’a in late July but survived the attempt on his life. The movement released a statement describing the failed assassination as part of an American/Israeli plot to damage the NDC and drive the country into a civil war (Press TV [Tehran], July 27). There are, however, other suspicions that the attack was the work of Yemen’s national security service, whose dissolution the Houthists have sought since 13 Zaydi Shiites were killed and over 100 wounded in a July 10 attempt to storm the local security headquarters to free a number of Shiite dissidents (AFP, July 14). Islah Party leader Hamid al-Ahmar has denied the allegation that attacks on Houthists by his followers were retribution for the looting and destruction of Sabafon offices by Houthists in Amran and Sa’ada. Sabafon, Yemen’s leading mobile phone network provider, counts amongst its major shareholders the Ahmar Group, a major holding entity chaired by Hamid al-Ahmar. Hamid did, however, say that he had sought the help of Hassan Zaid, the leader of Yemen’s al-Haq Party, in mediating between Islah loyalists and Houthis in order to end a campaign of “slander” against him and end attacks against his business interests in northern Yemen. (Yemen Post, September 8). Al-Ahmar, one of the most powerful men in Yemen, is believed to have grown close to authorities in Qatar in recent years as the Emirate seeks to expand its influence in Yemen (Al Monitor, August 20, 2013). All of the power is in their hands, from the local authorities, the banks and district attorneys to the management of prisons, religious sites and school curricula… The people of Yemen find this unacceptable, insofar as it cleaves off a section of the Republic of Yemen in a manner that is incompatible with the peaceful political process. It is unacceptable that a person can simultaneously take part in the peaceful political process and maintain illegal armed groups… Sa’ada province has been hijacked and now exists outside the framework of the Republic of Yemen; the state’s presence there is only a formality. The strange thing is that the central government in Sana’a finances the activities of the local authority in Sa’ada despite the fact that it has no influence there. This is cause for wonder. It could possibly be the only place the world where a state allocates funds to an area over which it has no influence (al-Sharq al-Awsat, August 9). As the threat of U.S. military intervention in Syria grew in early September, the Houthis organized demonstrations in the capital, Sana’a, and in numerous places in Sa’adah Governorate. The Houthis maintained their traditional anti-American stance and condemned any possible military intervention, saying it would only lead to further radicalization in the region (Yemen Post, September 6). These demonstrations came soon after similar protests in mid-August denouncing the deployment of American drones in Yemen to assassinate various militant leaders and their associates. Yemeni officials say that hundreds of Houthi fighters have left for Syria to defend the Assad regime, regarding the fighting there as “a holy jihad.” The officials maintain Iran has provided financial encouragement for the fighters, who enter Syria via Hezbollah camps in Lebanon (Al Sharq al-Awsat, May 30). A Saudi source reported a Free Syrian Army ambush of Yemeni volunteers in the Dara’a district of Syria in June that allegedly killed over 60 Houthist fighters (Okaz [Jeddah], June 22). Ali al-Emad, a Houthi representative at the NDC, has suggested that the failure of security forces to intervene in the Houthi-Salafist confloict was deliberate: “Security officials are failing to uphold their responsibilities. There are political powers out there that are trying to exhaust the Houthis by encouraging numerous conflicts so that the group has to fight on numerous fronts in various governorates” (Yemen Times, September 14). The inability of the security forces in Amran to impose security on the region is reflected in many other locations in Yemen, leading to demands from prominent businessmen that they be allowed to form their own private militias to protect themselves from abduction or assassination if the government is not able to quickly reverse the deteriorating security situation (Yemen Observer, September 5). Ongoing clashes between the Sunni Salafists and the Zaidi Shiites have so far been as much about land as religion, but there is a risk that Yemen’s tribal combat may be absorbed into a larger sectarian conflict pitting the Shiite/Alawite axis of Iran, Syria and Lebanon’s Hezbollah movement against the Sunni/Salafist Gulf states. Saudi Arabia is alarmed by the nascent Shiite state on its southern border but efforts to demonstrate its displeasure to Sana’a have resulted only in new openings for the Kingdom’s regional rival, Qatar. Unable to project force in the north, Yemen’s central government risks irrelevancy at a time when it is most needed to coordinate national unity efforts. The full name of the Islah Party is al-Tajammu al-Yamani li’l-Islah (Yemeni Congregation for Reform). The political wing of the Houthist movement, Ansar Allah, was formed in 2012.